Tomorrow, March 5th, on Oprah's OWN network, a new episode of "Our America with Lisa Ling" will center on polyamory and various poly families. The one-hour show is called "I Love You & You... & You." The show has been in the works since last August, when Robyn Trask, director of Loving More, was contacted by producers of the show. After some sniffing around to make sure the show would be respectful, Trask put the producers in contact with several poly families. 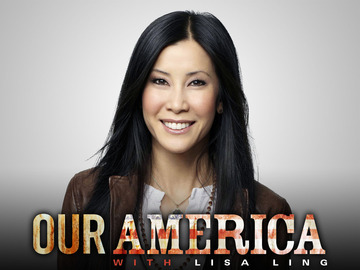 Working with the producers, crew and Lisa Ling, who is an award winning journalist, was a delight. We spent three full days filming at our home in Loveland, CO. Overall it was a fun experience and very different from other TV crews I have worked with. Two teaser videos have been released, entitled "Plenty of Love to Go Around" and "Monogamy's Not For Everyone." "I Love You & You... & You" will air Tuesday, March 5th at 10 p.m. Eastern on OWN (use the channel finder to determine the channel number). It will re-air three hours later, and again on subsequent dates. The schedule can be found here.